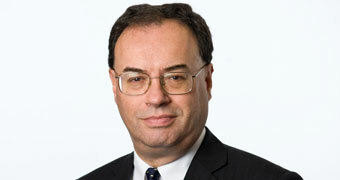 Speech by Andrew Bailey, Chief Executive of the FCA, at the All Party Parliamentary Group on Wholesale Financial Services Annual Dinner. A transitional period is important for everyone involved in financial services on both sides. A key issue is the need for continuing authorisation for firms which are undertaking cross-border business between the UK. We need to work with EU regulators to find common solutions. It’s a great pleasure to be at the APPG Annual Dinner. I have to start by emphasising that neither I nor the FCA take a position on whether Brexit should happen – that has been decided by a vote of the people of this country, and the subsequent processes are for the Government and parliament. We provide all the support we can to get it done, and to do so consistent with the FCA being able to achieve its statutory objectives. Our sleeves are rolled up, so to speak. I strongly welcome last week’s European Council agreement on a transitional arrangement. This is no small achievement for everyone involved. I will use my time first to explain why a transitional or implementation period is important for everyone involved in financial services on both sides, and what we need to do to make best use of that time. I will then go on to offer a few thoughts on what we should look for in the end-state. But I want to start by summarising the situation today in terms of the broader financial stability position as regards Brexit. At its recent meeting, the Bank of England Financial Policy Committee (FPC), of which I am a member, renewed its judgment that a wide range of UK macroeconomic outcomes could be associated with Brexit, that these outcomes acceptably fall within the scope of last year’s UK bank stress test and thus that the UK banking system could continue to support the real economy through a disorderly Brexit should that be the outcome (and, to be clear, the FPC was not judging that this would be the outcome). The FPC further noted that a combination of a disorderly Brexit, severe global recession and major misconduct costs could result in more severe conditions than in the stress test, but that the likelihood of this combination materialising is extremely remote to use the FPC’s words, and hence we did not judge that the risks around Brexit warrant additional capital buffers for banks. But we recognised that Brexit could disrupt the financial system directly. In November the FPC set out the main issues here and a checklist of actions that would mitigate risks of disruption to important financial services used by households and businesses. We have made progress since November towards mitigating these risks of disruption. On the UK side, I would particularly point to the announcements last December by the Treasury, Bank of England and the FCA which sought to provide greater clarity and confidence on how the UK authorities will handle those risks of disruption. Nonetheless, material risks remain, particularly in areas where actions would be needed by both the UK and EU authorities. In the latest FPC statement we set out under three headlines those areas where action would be required to mitigate the risk of disruption to end users of financial services. The three headings are: legal frameworks, preserving the continuity of outstanding cross-border contracts and avoiding disruption to the availability of new financial services. We have re-emphasised the importance of continuing preparations and actions to be taken by relevant authorities to tackle the risks. Let me turn now to the importance of making the most use of the transition or implementation period. Over the last year, we have devoted a lot of time and effort to building a clear understanding of the risks that would crystallise in the event of an exit that does not provide for the continuity of existing financial services contracts, and in important areas such as cross-border data sharing and how that can continue in order to support contracts. A key issue here is the need for continuing authorisation for firms which are undertaking cross-border business between the UK and the EU, and for which their passporting rights would be lost on the UK leaving the EU. Firms that rely on these rights would be unable to perform regulated activities in order to meet their contractual obligations until they gain authorisation from the state in which they were undertaking such cross-border business. Though all financial industry contracts requiring a cross-border performance of a regulated activity could be affected, the impact is expected to be greatest for insurance policies and derivative products. Insurers in the UK and the European Economic Area may not be able to pay claims, or receive premiums from policyholders in the other jurisdiction. In the UK this could affect around £27bn of insurance liabilities and 10 million policyholders, while in the EEA the numbers could be around £55bn of liabilities and 38 million policyholders. For uncleared derivatives, this could affect a quarter of contracts entered into by parties in both the UK and EEA, with a notional value of £26 trillion. For cleared derivatives, the notional amount of outstanding contracts that could be affected is over £70 trillion, of which around £27 trillion matures after Q1 next year. A key point here is that these risks are symmetric in that they affect both the UK and the EU. This is not one-sided risk, far from it. I think this point is now well understood. What is less well understood, to date, is what we should do about it working together, since as I will emphasise later, we share a common concern to preserve financial stability. This is where the transition or implementation period provides the opportunity to come together and enact solutions to these issues, working together and thus reducing risks to financial stability. The best mitigation of those risks would be an agreement between the UK and the EU on the treatment of existing contracts which would enable firms to perform regulated activities and be confident that the regulatory regime would be supportive. The objective of such a solution would be to support financial stability and to support consumers and users of financial services in the UK and EU. But we are not there yet. I recognise that formal agreement and adoption of a transition or implementation period depends on everything being agreed. Meanwhile, markets and firms, and regulators, want as much certainty as they can get. So, we need urgently to consider what we as regulators can do to give the arrangements the necessary confidence. The best thing we can do is to engage openly and speedily together to work on solving these transition issues, and thus achieving our joint objectives of financial stability and consumer protection. We need to work with EU regulators to tackle these issues together, to find common solutions, and thereby to give confidence that as regulators we will put into effect as smooth a transition as possible. Of course, we have to have fallbacks in place. Last December, the UK Government committed to legislate to allow EEA firms to continue to operate and thus service contracts. This would take effect through a regime that granted temporary permissions for such firms, thus enabling business as usual. At the FCA we are strong supporters and proponents of this idea. We have some experience with temporary permissions. We therefore have a fallback plan, and that is important, but it would be much better for the regulators to show that we are taking practical steps to use the transition or implementation period to good effect, and in doing so to contribute practical solutions to that process. Such a period will also be useful because it will allow firms to plan in the knowledge of the expected outcome of decisions on future relations between the UK and the EU. To emphasise, engagement and goodwill between regulators can help to embed transition in a practical sense. So, at the risk of labouring the point, now is the time for a much deeper regulatory engagement, and in doing so we can give practical substance to the transition or implementation period. Let me move on to say a few words about what comes next in terms of the negotiation on the end-state relationship between the UK and the EU. I have said it before several times and I am a very strong supporter of free trade and open markets in financial services. I find it somewhat humbling to come and speak to an All Party Group from Parliament which was the birthplace of modern free trade, which saw the advocacy of Richard Cobden and John Bright, and the bravery and far-sightedness of Sir Robert Peel. Today, these issues of free trade and open markets are back with us again. In financial services, it is primarily about wholesale markets. These markets are global, they are not regional. We learned this, as if we needed to, a decade ago when we experienced a global financial crisis. Good regulation lies at the heart of pursuing the public interest to ensure we don’t have another crisis like that one. We share the objective of preserving financial stability. I am encouraged that I see progress in establishing an understanding that it is possible to have a free trade agreement that encompasses financial services. And it is possible to embed the public interest in financial stability and consumer protection in such an agreement. We can agree the outcomes that we should commit to in order to uphold those public interest objectives, after all that is what we have been doing for the last decade. I want to end by emphasising the importance of and benefits from open financial markets, particularly wholesale markets. UK markets are highly open and have remained so notwithstanding the experiences of the crisis. It would have been tempting to retreat from such openness following the crisis, but it would have been the wrong thing to do. History provides an interesting lesson here, because by the end of the nineteenth century there was a strong challenge to the UK’s approach of unilateral free trade. We may find ourselves debating unilateral free trade again. I hope not. Speaking in Hastings just before the 1892 General Election, Lord Salisbury argued that British commercial policy, which was oriented towards unilateral free trade ‘may be noble, but it is not business’. With all due respect, I don’t agree. Open wholesale financial markets with appropriate regulatory standards operating to support the public interest are a global public good which benefits businesses everywhere.